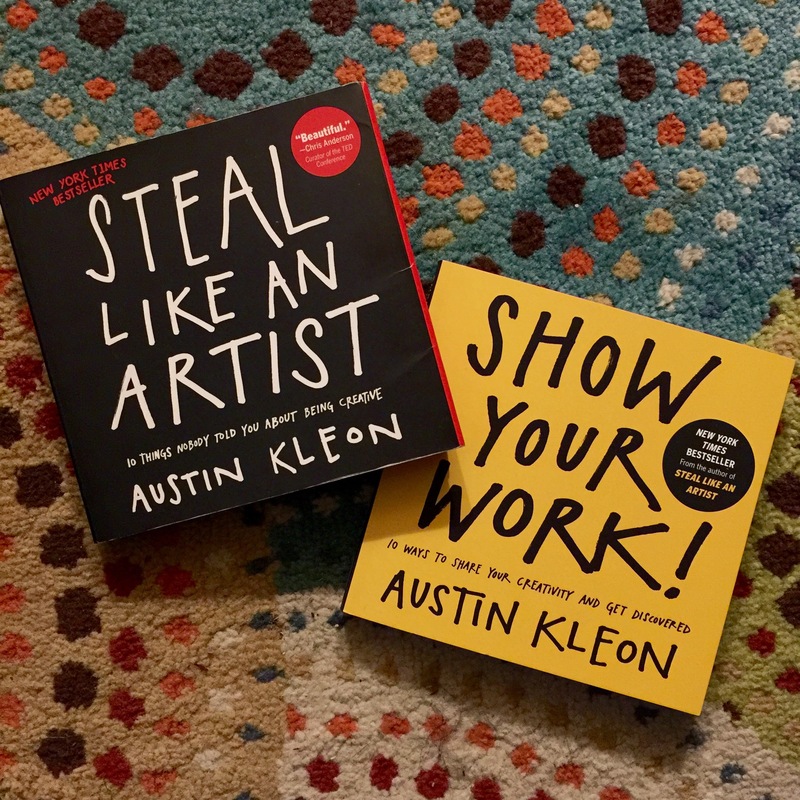 I’m enjoying an evening of Harry Potter & the Goblet of Fire movie and reading a bit of Austin Kleon, specifically his book Steal Like An Artist. I have to say that I truly enjoying reading the insights of other artists, whether that’s a traditional artist, musician, writer, fire dancer, Pokémon master, whatever. It’s just refreshing when you can hear from a peer and apply his or her ideas to your own work. After this, I’ll be knocking out Austin’s book Show Your Work! Pretty excited. 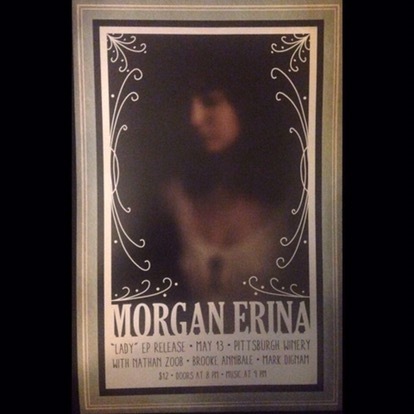 Soooooo this is more just a post about a friend and incredibly talented musician, Mrogan Erina. She is having her CD Release Party. If you have time and are looking for that one night out filled with incredible music, May 13 at the Pittsburgh Winery is where you need to be. How would you like your art? The saying goes, “you get what you pay for,” (or don’t pay for, depending on the situation). One aspect of the arts that has always confused me was the idea that some people and businesses have that an artist should do things on the cheap, or even for free. 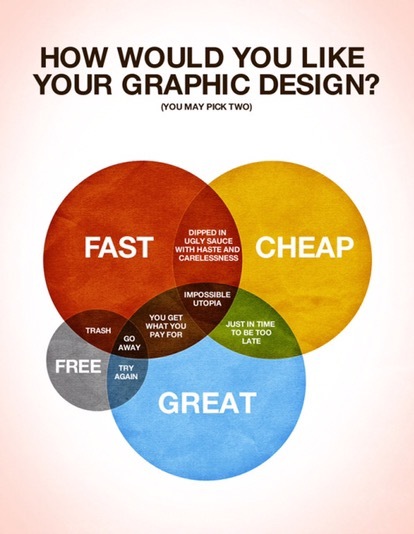 This isn’t limited to graphic design by any means. I’ve been asked on a number of occasions to perform a show with my band for free, make a piece of art, design a logo, etcetera, etcetera, etcetera. As a professional artist, I love that I absolutely love, L-O-V-E LOVE, my career and how it allows me to create and explore. That love, however, gets thrown back in my in statements like, “well, since you love what you do, this project should be a breeze,” or “I can’t pay you now but this will be great exposure.” Unfortunately, while I’d love to have the type of artistic carte blanche that celebrities have, “exposure” and “passion” do not pay the bills. Another way to look at it: the next time you go to the doctors for an emergency, tell the surgeon that you can’t pay your bill but that the stitches you receive from him or her will be great exposure for them. Or the car dealership sales person; let him or her know that your love of driving and the dealership giving you a free car will help give them free publicity. See how that goes. Thankfully, I’ve been fortunate enough to only have to deal with this situation twice in my career (though I expect that number to rise). My other clients have been nothing short of respectful to me and my work and, in kind, I them. But juuuuuuuuuuust in case you ever have a question about a project, I’ve included both an infograph (and its subsequent link) so you can avoid the pitfalls of asking one of your artistic friends/family members or professionals about free work. And for professionals, this is a great visual to fall back on. Author DJ BeckagePosted on April 8, 2016 Categories Art, Blog, Comic Books, Graphic Design, Music, News, Web DesignTags art, artwork, graphic design, music, web designLeave a comment on How would you like your art? 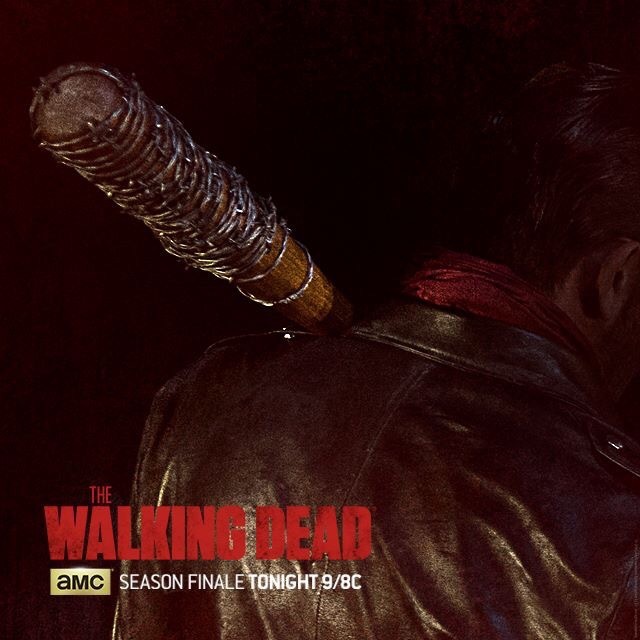 So tonight was the season six finale of AMC’s The Walking Dead, featuring the one and only Jeffrey Dean Morgan as the villainous Negan. It certainly was one helluva episode and kept me on edge until the very last swing. See what I did there? Anyways, it’s going to be interesting to see the fallout from Negan’s introduction to the series, especially considering how the season finale ended. What was your favorite moment of the episode or were you just happy to get through it? I was scanning through Facebook today and ran across this post for a new digital-based guitar. I have to say, this bad boy seems interesting at the least. Being able to “play” the guitar is something everyone has fantasied about (I’m an amateur air guitarist, myself) but this guitar seems to give a person a the ability to be a pro with the press of a single button. What I want to find out about this guitar is if it would act like a midi instrument for recording? If it does, it would be a game-changer for artists who want to speed up his or her recording sessions. Being able to apply a natural strum sound with the ability to digital change the key/notes of the song would be incredible. So what do you think? Who else is interested in the Magic Instrument Guitar? So last week, Batman v Superman was released to less-than-stellar reviews. Critics were fairly hard on the film and, from some of the message boards/Facebook/Twitter/etc., people who went to see the film agreed. Part of the vitriol responses I think comes from Superman fans/critics not liking Man of Steel, which I can understand. I, personally, enjoyed Man of Steel. The reasoning for some of the decisions Zack Snyder made in the film totally made sense to me for the movie. *Side note: I also though Zack’s interpretation of Watchmen–specifically the ending–was better than the comic book, and I loved the comic book. So on to this weekend, Comic Book Resources shared that the second weekend of release for Batman v Superman had a 71% drop in ticket sales. What’s more surprising is that this weekend the movie wasn’t going up against another big release. So where are all the fans? I want to see the movie but am planning on going later this week but it does speak volumes that two iconic characters such as Batman and Superman (as well as a plethora of others, apparently) can’t win out a second weekend yet Deadpool (another movie I haven’t seen yet. I know, I know!) can just keep truckin’ along to become the highest grossing R-rated movie. There hasn’t been a comic book based movie to have that type of drop in ticket sales since X-Men Origins: Wolverine and that movie was a crap fest. Does that mean though that BvS is too or are the fans taking the critics’ words as gospel? Now I think that BvS will continue to make money, and I know I’m especially excited for the Director’s Cut/Super Cut/whatever-the-cut-they’re-selling-it-as-now Cut, but what does this movie’s initial success and subsequent drop-off say about the possible future of the DCEU? Suicide Squad looks fantastic but they’re already doing reshoots because all the one-liners and jokes in the movie were shared in the initial trailers. And I truly hope that WB/DC aren’t trying to play the catch-up game with Disney/Marvel because they flat-out can’t. Their characters, their comic universes, are built completely different and to rush out material is simply a disservice to DC’s characters. But what do you think? Are you surprised by this drop-off in ticket sales for the movie or was it justified/expected? Is DC rushing to catch-up to Marvel? *First comic book post – gotta say I’m pretty excited about it. Author DJ BeckagePosted on April 3, 2016 April 3, 2016 Categories Comic Books, Movie, NewsTags Batman, Batman v Superman, DC, Deadpool, Disney, Marvel, movie, Suicide Squad, Superman, WB, WolverineLeave a comment on Is anyone super surprised? Hi everyone and welcome to my brand new website. It’s nice to finally have it up and running. Going to work on the media query stuff a little later but for now, we’re good to go. I’ll be sharing my thoughts and insights on everything from art & graphic design to comic books, music, and maybe just some news of the day and food for thought. Oh, and keep an eye out for my work, which I’ll be sharing, as well. So enjoy and I look forward to hearing back from all of you! Author DJ BeckagePosted on April 2, 2016 April 2, 2016 Categories Art, Blog, Comic Books, Graphic Design, Music, News, Videography, Web DesignTags art, artist, blog, comic books, graphic design, music, news, videography, web designLeave a comment on New Website!